on CD and in major online stores! "Country Weihnacht" in online stores! 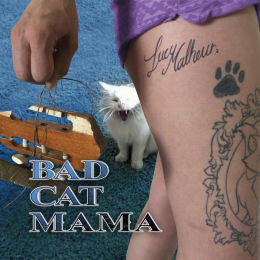 available on CD and in major online stores! now available on CD and in major online stores! CD and in major online stores! Enjoy the video Club of Millionaires on YouTube. 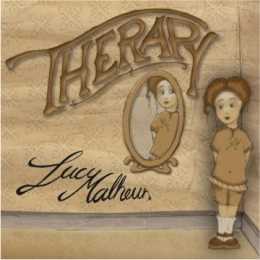 Lyrics and music by Lucy Malheur. Spanish solo guitar: Maurice Dreier. Co-Producers: Jörn Friese, Thomas Gesell, Willi Großmann. 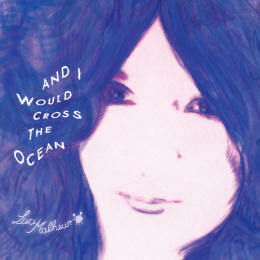 Mixed and mastered by Willi Großmann. Recorded and mixed at G&G Studios, Kaarst (www.ggstudios.de). Published by New Way Music, A Division Of G&G Tonstudios W. Grossmann und Th. Gesell GmbH. P: 2016 the copyright of this recording is owned by New Way Music, A Division Of G&G Tonstudios W. Grossmann und Th. Gesell GmbH. 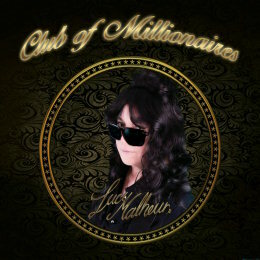 "Club of Millionaires" is now available on CD and in major online stores! And the third preview of "Club of Millionaires" is now on YouTube. 2016-05-27 Coming soon: "Club of Millionaires"
The second preview of "Club of Millionaires" is now on YouTube. 2016-04-28 Coming soon: "Club of Millionaires"
A first preview of "Club of Millionaires" is now on YouTube. 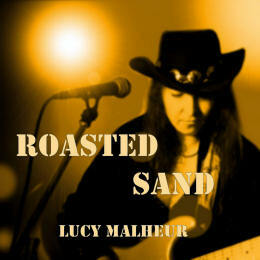 "Roasted Sand", the follow-up of "On The Road", also features just one Country music track, written by Dutch composer Frans van Aken, and again fully arranged and produced by Lucy Malheur. Enjoy the "Roasted Sand" preview on YouTube. It's available on "SoundCloud" as well. Enjoy "When I Miss You The Most" taken from the album "Country Yuletide". 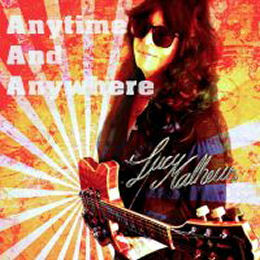 Lyrics & music by Lucy Malheur. 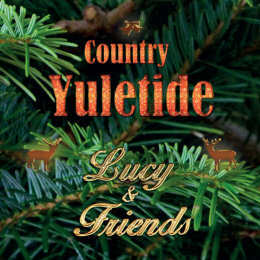 2015-11-03 Second trailer for "Country Yuletide – Lucy & Friends"
Dutch, German and Austrian artists performing Christmas and holiday songs in Lucy’s own country/folk arrangement. Enjoy Country Yuletide - Trailer 2. We Wish You A Merry Christmas - Eugenie Monaco with Libs and Plezier! 2015-11-02 Xmas sampler "Country Yuletide" to be released November, 5th! "Country Yuletide" is a Christmas sampler which is probably unique among its kind. 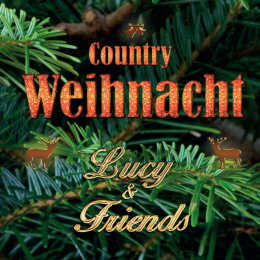 Many Dutch and German artists, and of course Lucy Malheur herself, performing Christmas and holiday songs in Lucy’s own country/folk arrangement. The traditional carols on this sampler will give a happy and festive feeling, thus successfully combining two musical genres. Enjoy Country Yuletide - Trailer 1. "On The Road" is the result of a new musical collaboration. 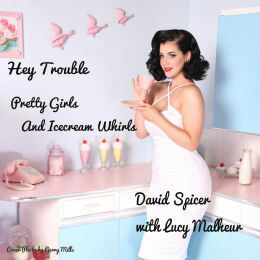 This single features just one Country music track, written by Dutch composer Frans van Aken, and fully arranged and produced by Lucy Malheur. A follow-up is scheduled for 2016. Enjoy the video I Got The Blues on YouTube. Produced by Lucy Malheur and Jörn Friese. Co-Producers: Willi Großmann and Thomas Gesell. Recording Engineers: Jörn Friese, Thomas Gesell, Micky Grolms. P: 2014 the copyright of this recording is owned by New Way Music, A Division Of G&G Tonstudios W. Grossmann und Th. Gesell GmbH. Enjoy the video I Can Do Without You on YouTube. 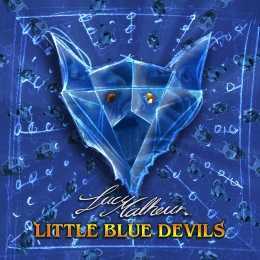 Following her albums "Therapy", "Little Blue Devils" and "I Can Wait", singer-songwriter Lucy Malheur from Germany is about to release her first single. Anyone wondering how "I Can Do Without You" compares with her previous oeuvre influenced by Soul, Jazz and Blues, will get another surprise, because here she flirts with the allure of sixties beat music and the classic rock of the era, but without merely serving them up cold. She has in fact transformed the genre, which will prove just as addictive when you hear it for the first time. The single will be released in a radio and extended version and the third title, the B-side "Goin’ My Way", hints at what we can expect in her next album "Vintage", due to come out in July 2014. Here too, the title says it all. 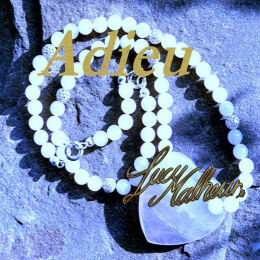 Nach den Alben "Therapy", "Little Blue Devils" und "I Can Wait", präsentiert die Mönchengladbacher Singer-Songwriterin Lucy Malheur nun ihre erste Single. Wer sich bei "I Can Do Without You" nun aber die Frage stellt, ob sie sich dabei aus ihrem bisher bekannten Spektrum eher im Soul, im Jazz oder im Blues bedient hat, der wird neuerlich überrascht. Denn jetzt kokettiert sie mit dem Charme der Beatmusik der Sechziger und mit klassischem Rock dieser Epoche, ohne dabei einfach nur die Asche zu bewahren. Stattdessen transportiert sie das Feuer im neuen Gewand, dessen Anprobe beim ersten Kontakt gleich süchtig macht. Die Single kommt in einer Radio- und in einer Maxi-Version daher und beinhaltet mit der B-Seite "Goin’ My way" einen dritten Titel, mit dem die Single einen Vorgeschmack auf das neue Album "Vintage" gibt. Und auch da wird der Name Programm sein. 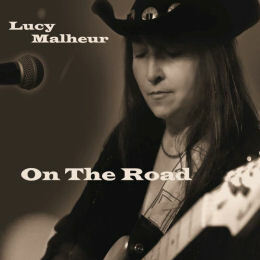 Vocals and guitars performed by Lucy Malheur. Recording Engineers: Thomas Gesell, Willi Großmann, Jörn Friese, Micky Grolms, Livia Brandolisio. Enjoy the VINTAGE - album preview on YouTube. Enjoy your trip into the sixties, seventies and early eighties. 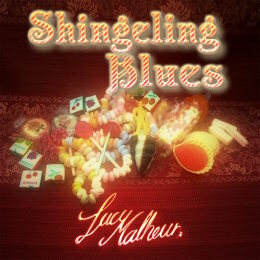 I hope that you will have as much fun listening to this album as I had writing and recording it. 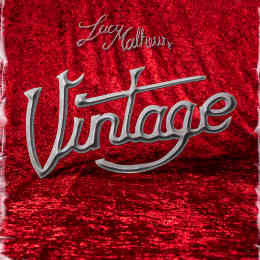 Anyone listening to Lucy Malheur's fourth LP, "Vintage", will be enveloped by the enticing smell of fish and chips, because "Vintage" is also heavily influenced by British rock and the LP takes listeners on a journey through the decades. 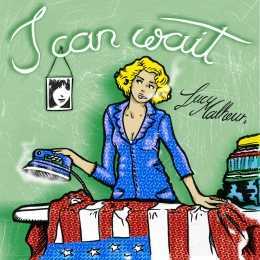 While "You Can Run", the second title on the album, wouldn't look out of place on the latest Oasis LP, Lucy's previously released single "I Can Do Without You" is an ingenious take on Beatles tunes. But the singer-songwriter still manages to do all this without betraying the influences of her previous albums. Anyone who liked Lucy before will love her now. And for all new recruits to Ms. Malheur's sound this is certainly her catchiest work to date, which will have you tapping your foot literally and internally. The tempo and emotions of the songs are constantly changing. "Happy with You", for example, is a real potential summer hit, followed closely by the beautiful ballad "You Gotta Let Go", which will make you want to grab someone you love and hold them tight. A little later, Lucy makes fun of herself as the style switches to US high school rock with "I'll Give You Girlie Rock 'n' Roll". The variety and multiple facets of these 15 tracks will impress you again, all enhanced by the high production values. The artist herself says: "The vocal parts that ought to sound light and airy are often extremely challenging", but she steps up to the plate in terrific style. Auf Lucy Malheurs viertem Longplayer "Vintage" weht dem Hörer der Duft von Fish and Chips um die Nase. Denn nach Blues, Soul und Country ist "Vintage" maßgeblich von britischem Rock geprägt, und dabei durchaus auch ein Streifzug durch die Jahrzehnte. 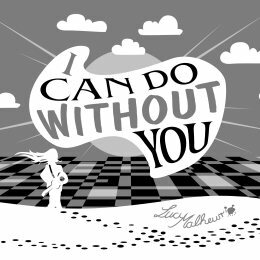 Während "You Can Run", der zweite Titel des Albums, stilistisch auch durchaus auf das letzte Oasis-Album gepasst hätte, versprüht Lucys erste vorab veröffentlichte Single "I Can Do Without You" genial adaptierte Beatles-Anleihen. Dies alles gelingt der Singer-Songwriterin jedoch, ohne die Einflüsse ihrer vorhergehenden Alben zu verkaufen. Wer Lucy vorher gemocht hat, der wird sie jetzt lieben. Und für alle Neueinsteiger ist es sicherlich das eingängigste Werk bisher, das nicht selten innerlich und äußerlich den Fuß mitwippen lässt. Wechsel in Tempo und Emotion sind dabei an der Tagesordnung. So bietet der Song "Happy With You" das Potenzial für einen echten Sommerhit, gleich gefolgt von der wunderschönen Ballade "You Gotta Let Go", zu der man gleich einen lieben Menschen in den Arm nehmen möchte. Wenig später nimmt Lucy sich selbst auch ein wenig auf den Arm, wenn es bei "I'll Give You Girlie Rock 'n' Roll" plötzlich nach US-College-Rock klingt. Am Ende stehen 15 Songs, die wieder einmal durch ihren Facettenreichtum beeindrucken, und denen man neuerlich den enormen Aufwand bei der Produktion anmerkt. "Gerade die Gesangspassagen, die luftig und leicht klingen sollen, sind oft eine besondere Herausforderung", sagt die Künstlerin, die diesem Anspruch neuerlich voll gerecht wird.